With Authentic Reborn you can create gentle semitransparent color. 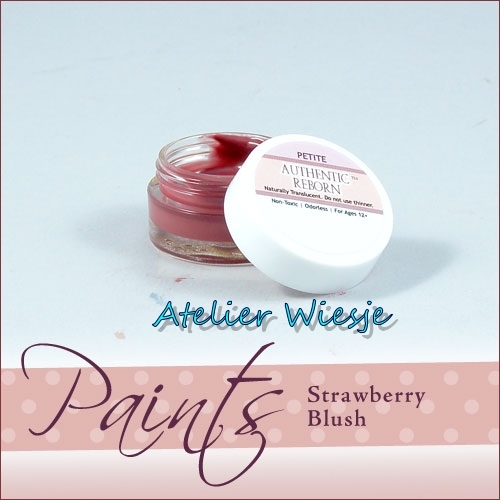 Authentic Reborn Premixed Complexion Blush makes it possible to create a more transparent blush color for cheeks and every place else where a baby should be pink. This is the secret to creating color that makes your baby warm and alive. Avoid over-blushing your newborn by using premixed blush paints. Use our sponges for applying your blush foundation to prevent red lines and streaks in your baby's blush.